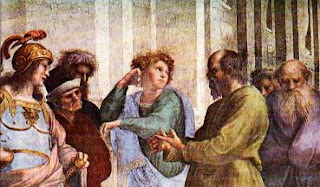 Faith and Theology: Whose rationality? Which apologetics? In his “Apology for Imperialist Apologetics,” Andrew Bain observes that the Christian message sometimes requires “strong, forceful rhetoric,” and that Christ’s imperial authority should not be downplayed in the interests of a peaceable apologetics. Indeed, he notes that to “eschew strong assertions of Christ’s rule” would simply be to misrepresent the gospel, since the gospel proclaims Christ as Lord, not merely as one option alongside others. I could hardly agree more. When I criticised a rhetoric of violence and called for an ethics of apologetic discourse, my point was not that Christians ought to be nice, or that we should speak the gospel only in a soft tone of voice. On the contrary, I believe the Christian message is concerned with truth – and that means universal truth. The gospel is nothing else than an announcement of the universality of a particular event in history. To say the word “God” is to speak of reality as a whole, and it is thus to speak a truth which concerns everyone without exception. To be a Christian is to be seized irresistibly by this truth, and so to become a witness, a subject militantly committed to the universal reach of this truth. To say that the gospel requires “forceful rhetoric” and “strong assertions” is thus saying still too little: it requires my very life, so that even my body is seized and commanded by the militancy of the gospel’s truth. That is why, etymologically, the “witness” is precisely the “martyr”: the rhetoric of the gospel unfolds not merely as strong speech, but as the most radical bodily gesture which performs truth’s powerless victory and boundless reach. My critique of rhetorical violence was not, therefore, a summons to soft-spoken niceness. Bearing witness is not always a nice business (when done properly, it ends in a bloody death). My point, rather, was that our gospel-speaking should look more like imaginative story-telling than like rational argumentation. It should sound more like an invitation and a summons to decision than like a proof which constrains and coerces. 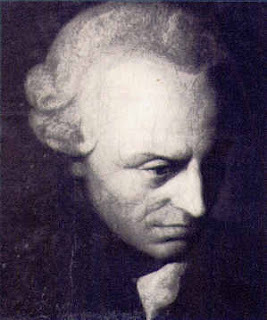 The crucial question, therefore, is whether the Christian message is itself transformed into something quite different when it is submitted to quasi-objective (Kantian) rational norms, or when it becomes an instrument of coercive reason; whether an apologetics of rational persuasion undercuts the fundamental character of the gospel as a call to decision and a summons to freedom. Let me put it another way: where there is rational persuasion there is no longer any need for decision, since I am simply compelled by force of reason. A rhetoric of peace and freedom, on the other hand, is a mode of speech in which the gospel’s decision-character is preserved and maintained, so that the gospel is articulated as a call to conversion, a summons to a radical reorientation of life (which includes a reorientation of reason itself! ), so that the whole world is now re-envisioned through the lens of the gospel. This is the approach which I labelled an “apologetics of imagination,” and which John Milbank rather playfully describes as the endeavour to “persuade people – for reasons of ‘literary taste’ – that Christianity offers a much better story.” To proclaim the gospel is to tell this “better story” – a story which is, empirically, one narrative alongside others, but which functions as a kind of metanarrative, since its truth reaches out and comprehends all things within itself. To grasp this story (with its own internal coherence and rationality), one must be grasped by it in a moment of decision. This decision is what the gospel calls conversion. To clarify the nature of this decision is the task of apologetics.